Rebekka Löffler (Freiburg im Breisgau, 1985) grew up in the Black Forest region near Freiburg im Breisgau, Germany. 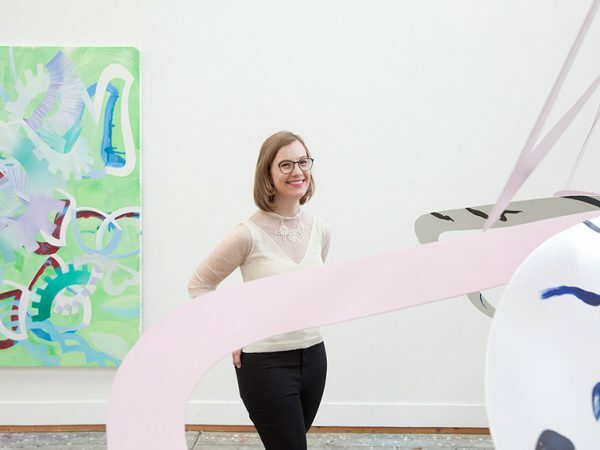 She received her master’s degree at the Staatliche Akademie der Bildenden Künste Karlsruhe in 2012, and was a resident at the HISK in Ghent, Belgium in 2016-2017. Rebekka Löffler’s paintings explore the interface between the explainable and intangible aspects of being. They demonstrate her reflection and response to the conditions and occurrences of life.